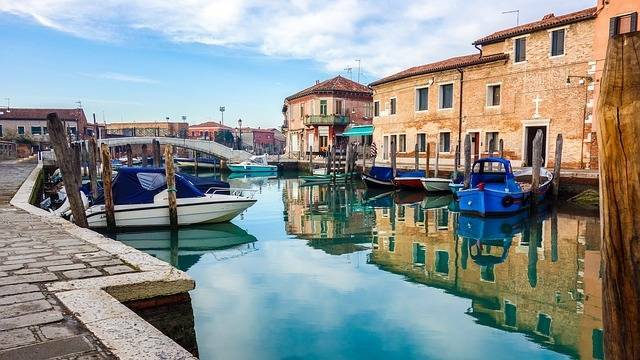 A cruise in the Lagoon is a suggestive as well as enjoyable experience, a new and different way to see Venice off the most beaten tracks by the mass tourism. You can have the possibility to enjoy a unique experience which will lead you to the historic, artistic and popular heart of the northern part of the Venetian Lagoon, comfortably seated in a Grand Tourism motor-boats driven by an highly qualified crew and guided in 5 languages by a specialized Tour leader. You will visit MURANO, BURANO and TORCELLO which are the traditional destination among the islands located in the northern part of the Venetian Lagoon. After sailing past the island of San Giorgio Maggiore, the public Gardens, the tip of Sant'Elena and the Lido (the famous beach resort), the boat arrives at MURANO known throughout the world for its glass manufacturing industry. Here there is a stop to visit one of the factories. The second stop is on the picturesque island of BURANO, famous not only for its lace but also for its fishermen's houses painted in bright colors. 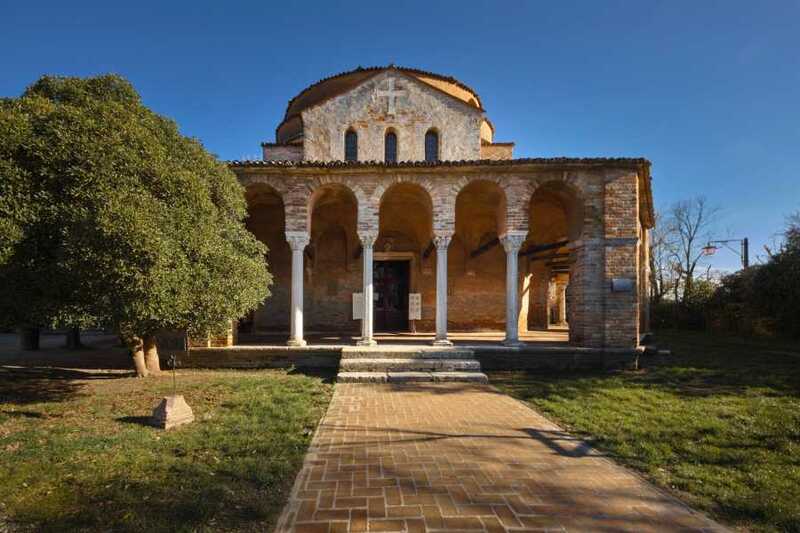 Then, after a short sail, you will reach the quiet and sparsely populated island of TORCELLO, the first centre of civilization in the estuary. The tour includes the service of a specialized official tourleader which provides information on board and assistance on the islands. Availability & operation: From November 12th 2018 to November 3rd 2019. 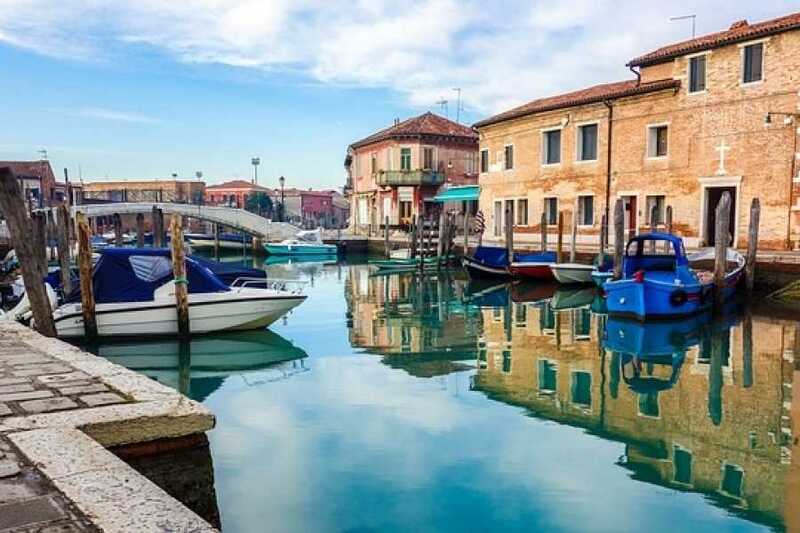 The morning of the Vogalonga Regatta 2019 (June 9th) the tour will not take place. 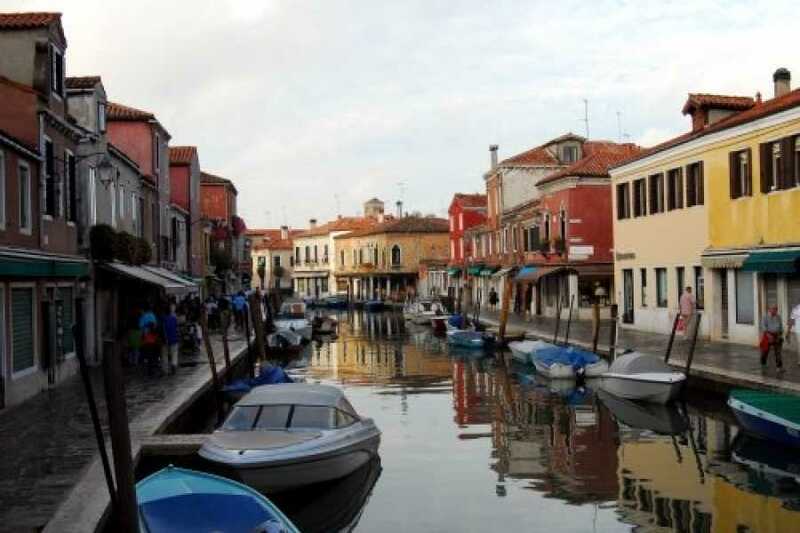 - The afternoon of the Historical Regatta 2019 (September 1st) the tour could end at “Fondamenta Nuove” area instead of Saint Mark’s area - The afternoon of the Burano Regatta 2019 (September 15th) the tour does not stop in Torcello - The tour will not take place on 25th December, January 1st in case of exceptionally bad weather, boats are completely covered; the tour operates regularly in case of rain or snow. From November 12th until February 28th: 01:40 pm. Unforunately, this tour is not fully accessible for wheelchair users or people with walking disabilities. 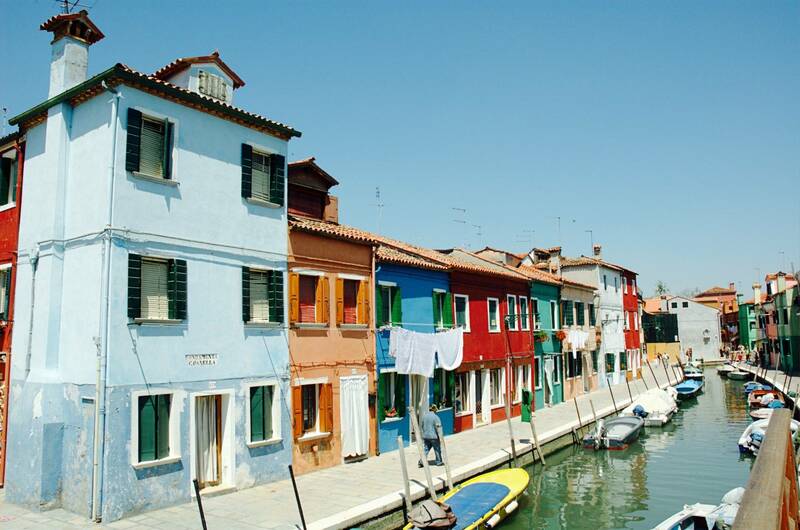 For general conditions refers to our broucher "Discover Venice"
Take line #1 and get off at “S. MARCO-S. ZACCARIA (Danieli)" stop. Once you get off turn left and you find a yellow desk by the Prisons’ Palace on your right just before the bridge called Ponte della Paglia. 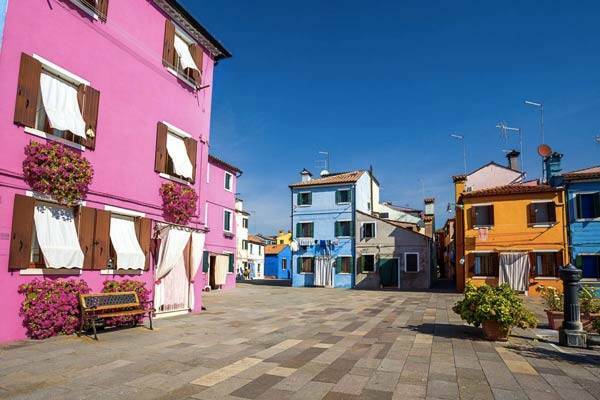 The yellow desk is located by the Prisons’ Palace in Riva degli Schiavoni near St. Mark’s Square. 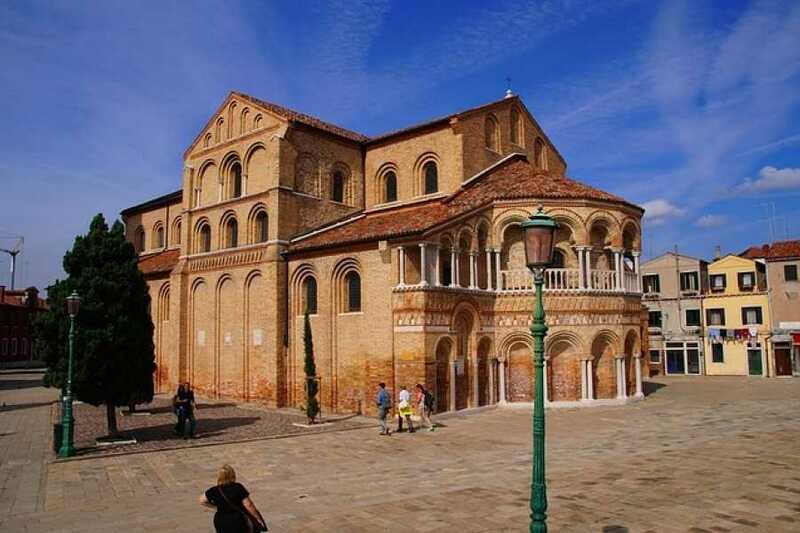 Once by the Bell Tower, leaving the Basilica on your left, proceed straight on to the two columns, then turn left. Cross one bridge, called Ponte della Paglia, and you will find the yellow desk by the Prisons’ Palace on your left.